Yonkers, NY—Consumers Union, the public policy arm of Consumer Reports, praised the Vermont Senate today for voting 26-2 for a bill that would require labeling of foods that contain genetically modified ingredients, a strong indication that Vermont would become the first state in the nation to enact such a law. “The action by the Vermont Senate is a huge step forward for consumers’ right to know, and we hope Governor Shumlin will quickly sign the bill into law,” said Michael Hansen, Ph.D, Senior Scientist with Consumers Union, who testified at several hearings in favor of the measure. The bill would require labeling as of July 2016 and still needs approval in the House, which passed a slightly different version. Two other states—Connecticut and Maine—have passed labeling laws, but delayed implementation until neighboring states join them. 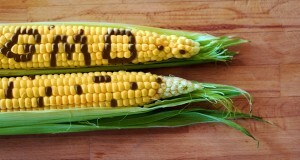 Half the states in the U.S. have bills in the works that mandate labeling of genetically engineered foods. Genetically engineered foods coming rapidly down the pike are all of great concern in the Northeast, as the U.S. Food & Drug Administration (FDA) is poised to approve a GE salmon, which is design to grow to maturity twice as fast as normal salmon. “FDA’s safety assessment of the salmon was highly inadequate–their analysis of the allergy-causing potential of the salmon was based on a look at just six fish,” said Dr. Hansen. Nearly two million people sent comments to the FDA, vehemently opposing the approval of the GE salmon.